Has this ever happened to you? You’re in a new city, searching for a good brunch spot. You found a few suitable choices, but can’t decide which one to pick. Several of your brunch-loving friends have also visited this city, and will probably have an opinion on which one is more worthy of a visit, but reaching out to all of them will take time, and you’re mighty hungry. What do you do? Eighty-eight percent of people trust online reviews as much as personal recommendations. Despite the common use of user review aggregator websites and apps, word-of-mouth is still the most popular way to recommend a business. Now imagine a feature that makes up the missing link between social media, referrals from friends, and recommendations based on your immediate location. That missing link has just been released by Facebook. Place tips is a News Feed service for Facebook mobile users, which uses geo targeting technology to give users more information about businesses in the area. According to Facebook’s announcement, the users’ location will mainly be determined using cellular networks, Wi-Fi and GPS. 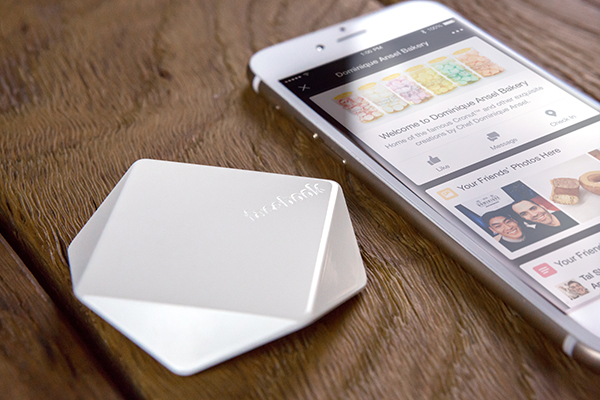 In some places, a Facebook Bluetooth beacon placed in participating businesses would send a signal to the users’ smartphones to determine their correct location. Place tips will show up at the top of the user’s News Feed as soon as they’re in proximity of the business. If you choose to view the tips, you will see relevant information about the business, such as operating hours and menu items, as well as any check-ins, photos, or posts about the business from people on your friend list. Latest posts from the business’s Page will also appear among the tips. Place tips are currently in the test stage, rolling out exclusively to a few iconic New York City locations, including the Museum of Modern Art, Central Park; as well as some popular businesses, like the home of the first cronut, Dominique Ansel Bakery, and a world-famous perogy joint, Veselka. Place tips will not post on Facebook without your permission, and the feature can be turned off at any time. Place tips will only appear if the proper location settings for Facebook are enabled on your smartphone. Part of the excitement surrounding the launch of place tips is Facebook’s move into territory owned by the likes of Yelp and Foursquare. It’s no secret that Facebook has had success moving into fields outside of traditional social media—their standalone Messenger app quickly became one of the most commonly used messenger apps, and native Facebook videos surpassed YouTube shares on the social network. With the launch of place tips, users will be able to see reviews and photos from the social group that influences their decisions the most—their friends and relatives. This could decrease the need to check what strangers, no matter how well-informed on the subject, share on a user review aggregate service such as Yelp or Urbanspoon. Representatives of the beacon industry, on the other hand, are excited about the new opportunities presented by Facebook place tips. The cost of a Bluetooth beacon is said to be as low as $5, but, similar to innovative technologies such as 3D printing and personal drones, proving their usefulness to an average consumer can be challenging. However, with Facebook’s latest moves, beacon makers are hopeful the feature will bring beacon technology to the public consciousness. 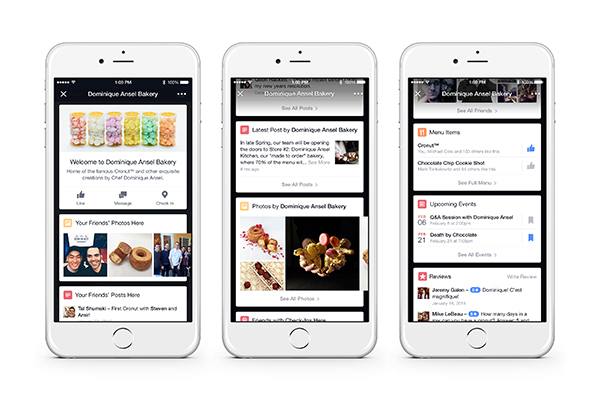 Facebook has shown no signs of plans to monetize place tips, which presents a very exciting opportunity for brands once the network’s Bluetooth beacons become available to a wider market. Place tips could replace the need for hyper-local geo-targeted advertising, enabling local small businesses to have more visibility in their immediate physical surroundings without taking a serious hit to their budget. Additionally, this move goes hand-in-hand with Facebook’s new policy about overly promotional content from Pages. Instead of pushing branded posts out of users’ News Feeds completely, the place tips feature would show content at a time and place that’s most advantageous to both the user and the business. Facebook Page versus Facebook profile: what’s the difference? What kind of media really gets engagement on Facebook? If this didn’t answer all your questions, stay tuned for a special checklist containing all the essential elements for setting up a successful Facebook Page. Are you intrigued by Facebook’s place tips? Would you use them for your business? Share your thoughts with us in the comments below!